The HAL 9000 Command Console looks just like the original. Fans of 2001: A Space Odyssey can now get their very own replica of HAL 9000, the iconic and murderous robot from Stanley Kubrick’s seminal film. Master Replicas Group has created a new smart speaker that looks just like HAL 9000 and it uses voice controls and Bluetooth to become the control center for your smart house. 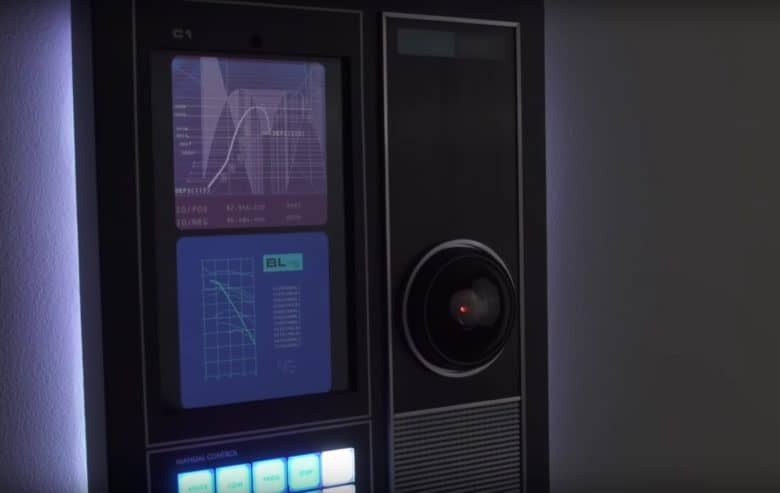 The crowdfunding project for the HAL 9000 speaker has already surpassed its funding goal by 416%. There are two versions in the works. HAL 9000 Bluetooth Speaker Edition features a primary lens, aluminum faceplate, and built-in magnets for mounting it to a wall. Prices on that version start at $419. You can also grab the HAL 9000 with Command Console Limited Edition for $899. That version recognizes voice commands and responds with audio clips and video displays. The Command Console is limited to only 2001 units and packs a removable speaker, power supply and desk stand. Units are expected to ship in March 2019. Hopefully, yours doesn’t lock you out of the house and turn off all your life support systems.